Governor Andrew M. Cuomo today announced that two new public service announcements are now airing on television stations and music streaming services across the state in an effort to warn residents about the dangers of synthetic drugs and prescription opioid abuse. This is the latest in New York’s multi-pronged effort to combat drug and prescription opioid abuse. The first new PSA (view here) features young people who describe the serious health dangers of synthetics and advises others to stay away from synthetics. The second PSA (view here) features a young athlete explaining how a sports injury led to his addiction to pain pills with the message, “Don’t let addiction sideline your dreams.” Both PSAs are airing this month on stations across the state. 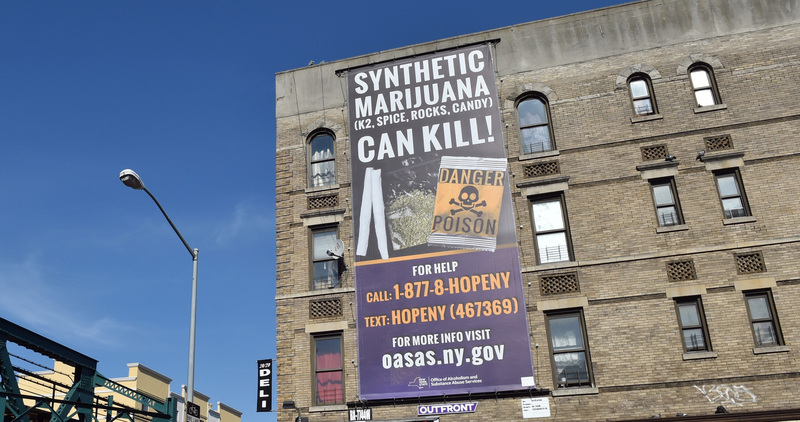 Also as part of the new campaign, a 33-foot billboard stating, “Synthetic marijuana can kill!” is now posted on 167th Street and Southern Boulevard in the Bronx (view here), and similar posters will be posted in subways, bus shelters and other locations in the New York City area. Billboards also will be posted at select malls around the state. New York State has seen a more than an eightfold increase this year in emergency department visits (4,700 between April 1 and Sept. 3) related to adverse health effects due to synthetic drug use, including psychiatric emergencies, rapid heart rate and death. § 45 percent of people who used heroin were also addicted to opioid painkillers. 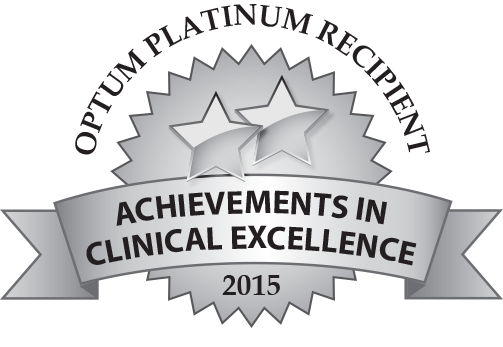 § Prescription opioid admissions have risen 41 percent statewide between 2005 and 2014. If you think someone has used a synthetic drug, call the New York State Regional Poison Control Center at 1-800-222-1222. In a medical emergency, call 9-1-1. To report the illegal sale of synthetics, call 1-888-99-SALTS. New Yorkers struggling with an addiction, or whose loved ones are struggling, can find help and hope by calling the State’s toll-free, 24-hour, 7-day-a-week HOPEline at 1-877-8-HOPENY (1-877-846-7369) or by texting HOPENY (467369). 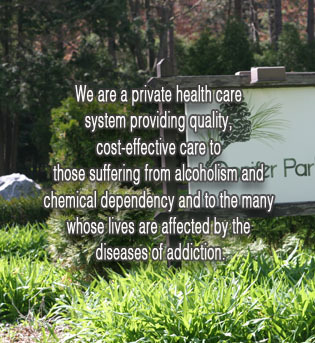 Visit www.combatheroin.ny.gov for information about addiction to heroin or prescription painkillers. For tools to use in talking to a young person about preventing alcohol or drug use, visit the State’s Talk2Prevent website. The website, which can be found at this link: http://combatheroin.ny.gov/, includes information about warning signs of heroin and opioid abuse and misuse, access to Office of Alcoholism and Substance Abuse Services treatment providers, and guidance to help parents talk to their children and healthcare professionals talk with their patients. The campaign also includes four public service announcements and video messages, available on the above-linked website, from New Yorkers talking about the impact of heroin and other opioids on their lives. · The 12 Office of Alcoholism and Substance Abuse Services Addiction Treatment Centers will continue to train New Yorkers on the use of naloxone. 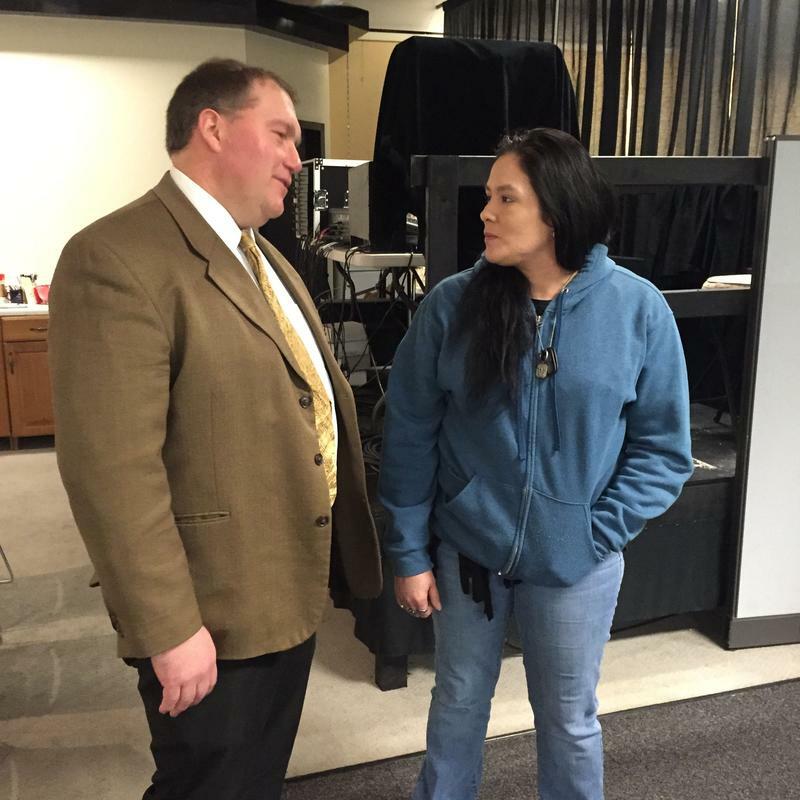 Addiction Treatment Center staff have already trained more than 3,200 people. · Expand naloxone training for first responders including police officers, firefighters, sheriffs’ deputies and emergency services. Approximately 1,100 law enforcement officers have already received the life-saving training. · Working with community providers to train persons throughout New York State likely to witness an overdose, including professional staff, drug users and their families on overdose prevention and the use of naloxone. To date, over 170 agencies have been enrolled, 15,000 persons trained, and in excess of 1,000 overdoses reversed. · Create more prescription medication disposal sites across the state for New Yorker’s to safely dispose of prescription medications. Department of Health has established a statewide medication drop box program. Drop boxes are also available year round at State Police Troop Headquarters in Batavia, Unadilla, Canandaigua, Latham, East Farmingdale, Ray Brook, Oneida, Middletown and Salt Point.